It is a well-known theorem of Hurwitz that the automorphism group of a compact Riemann surface of genus g > 1 has order not larger than 84 (g - 1). This was generalized by Bochner who proved that a compact Riemannian manifold with negative Ricci tensor has a finite automorphism group, and Kobayashi who derived the same conclusion for a compact complex manifold with negative first Chern class [K]. 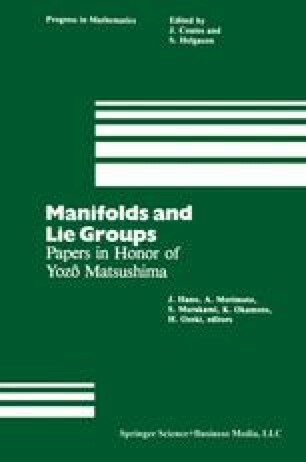 The group of birational transformations was studied by Matsumura [M1] who proved that it contains no one-parameter subgroup, provided the manifold has ample canonical bundle.